Is gold ready to break out after today’s rise? What’s going on with gold today? Gold prices touched above $900/oz today and by mid-noon was trading over $40 higher to $899 an ounce on February deliveries. The highest levels since October of 2008. As of 12:52pm, the SPDR GLD is up over $4.00 to above $88 (4.00+%). The volume of 24 million at 1pm is already twice as much as the average daily volume of 12 million. What is also surprising is that the EURO to Dollar index is dropping today, signifying a strengthening US Dollar. In most cases, these two measures should move inversely proportional to each other (Well, technically, gold rises when the EURUSD=X also rises). So what to make of this move today? One, it’s easy to say that the huge movement up is all due to the stream of negative economic news. Most daunting was the release of Britain’s GDP, showing the country’s most severe contraction in nearly 29 years. Which also officially pulled the UK into a recession. 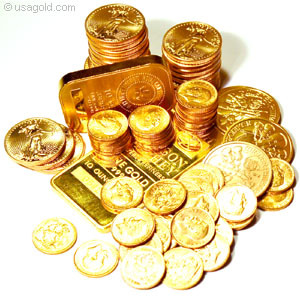 Additionally, bad earnings from a stream of companies have made today a safe-haven buying day, which lends credence to why both the gold and silver prices are rising, and why the US Dollar is also rising, due to an influx in US Treasuries buying. However, there are two technical signals that are also resonating quite nicely with the tech gold bugs. Let’s first look at the trading band GLD has been trading in since it’s low back in Nov 2008. I have drawn in the magenta bottom trading boundary which GLD prices essentially hit three times (11/08, 12/08 and 01/09). I have also drawn in the magenta top trading boundary which GLD prices hit twice (end of 11/08, 12/08). In order to keep within this linear rising trading band, GLD would have had to make a move to the upside in the next week or two. Today’s rise only keeps GLD within this trading band and does not signify a breakout. However, because it is a rising trading band, then that bodes well that GLD will continue to rise in the coming weeks. Should it break above the top trading band, we might see a very strong move upwards and well past $100/share. If it breaks below the bottom trading band, then the fundamental breaks and we can see GLD once again test its lows in Nov 2008. Because there is strong buying interest today, this bodes well for GLD. The second bullish signal might prove stronger than the above signal. Let’s look at the 50-day EMA and the 200-day EMA for GLD since 2005. Something is happening here that hasn’t been seen since September of 2005 when gold began it’s next bullish leg up from the $400s/oz to $1000/oz. The 50-day EMA breaking above the 200-day EMA. Although the below chart does not show it, today’s bounce up definitely will push the 50-EMA above the 200-EMA. This is a strong signal and it is coupled with strong volume, which shows buying conviction on the upside. When two long EMAs cross each other they signal long-term trends. You can see that when the 50-EMA crossed under the 200-EMA back in Sept of 2008, GLD dropped for a few months. This break back above 200-EMA could signal strong upside for GLD prices. Coupled with the trading band shown in the first chart, and we major bullish signals for gold in the next few weeks. As in my 2009 Predictions in my previous post, I expect gold to top $1000/oz at some point this year, possibly in February. Commentary: What’s next for gold, the Dollar, U.S. economy and inflation? The economic turmoil the past two months has sent some very mixed signals to people who do not fully understand the commodities market cycles and global economic forces. The global economic train is now in the midst of a long and dark recession tunnel. The actions taken by the large economies of the world, such as the United States, and European countries, the past two months have made the average investor skittish and scared. They see stalwart financial companies like AIG, Wachovia, Washington Mutual and General Electric either crash and burn or bought out by other companies or halved in price. Their 401Ks, Roth IRAs and other investment accounts tumbled. To make matters worse, they see high crude oil prices that had peaked above $140/barrel go on a crash dive to barely above $60. Wasn’t the global demand of oil, especially from China, India and other emerging markets suppose to keep gas prices above $4.00 for good? Now they are back well below $3.00. Other commodity prices, such as silver, copper and platinum followed suit. All tanked from multi-year highs just reached not long ago this year. However, contradicting this gloomy wave of news was the ‘strengthening’ of the U.S. dollar and the 30%-plus drop of gold prices. Gold was supposed to be seen as the safe haven when things go bad. Well, now things are really bad so why is gold also dropping? And why is the dollar strengthening when the U.S. economy is tanking? How can this be? In the simplest explanation, although quite wrong and unsubstantiated, was that the commodity bubble had bursted. Gold dropped because the demand for commodities was over. Many people began believing this and even some gold bugs were confounded by what was going on. Their is a very simple explanation for it, and all the reasons for the dollar strengthening and gold prices crashing are all temporary. 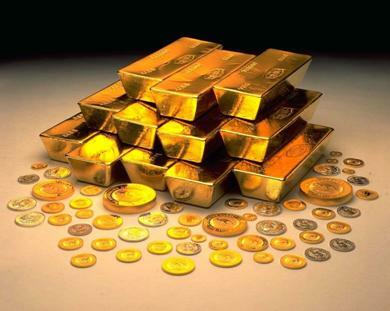 As a matter of fact, it provides the best opportunity to buy gold in several years. The recession is in much deeper quicker than anyone thought. Many investors are being forced to sell even their safest haven assets in order to cover for their losses on the risky side, such as stocks, houses, hedging, etc. This includes the liquidation of gold. They do not want to do this but are forced to. This is a major factor in the instability on the down side of gold. Second, the safest non-gold haven for money is U.S. Treasuries. They are one of the only things that guarantee still a net positive return, albeit a small interest rate, at this juncture in the economy. Countries have no choice but to buy more Treasuries because the faith in other fiat currencies is still not strong enough since this is a global recession. This temporary strength in the dollar against other fiat currencies also has a downward push on gold prices and other commodity prices since they are all priced in the dollar. That means $100 now buys more gold than before. The thing is these two actions are only temporary. These actions are only to save the global recession from a global depression right now. These are short-term reactions to a longer term problem. These actions are known as deleveraging. It is allowing the new economic state to take root. It is a finite process and will soon come to an end. Why? The federal reserve continues to pump lots of new unbacked dollars into the economy. And the $700 billion dollar bailout begins this week. The Feds announced that they will give the initial $125 billion dollars to nine banks. What does this all mean? INFLATION! And soon, HYPER-INFLATION. U.S. Treasuries will have no choice but to increase their interest rates in order for countries to continue buying them. Mortgage rates will rise, as they already are, even though recession takes root. The dollar will reverse trend and weaken due to inflationary pressures. More dollars will come home to roost from other countries. What does all this mean? Gold will rise, rise, rise. Update 6:15pm: So the Dow Jones goes up 890 points (10.88%) today, with the NASDAQ and S&P500 posting similar percentage increases today. The two main reasons for such a historic rise (second largest point increase of Dow Jones ever) is due to bargain hunters and an expected interest rate cut by the Federal Reserve. Although the cut might help in the credit and liquidity crisis, this is another long-term inflationary signal. If Treasuries have lower interest rates, who will buy them? More Dollars will come back to America, which means a weaker dollar. Although this might help the current local minimum (credit and liquidity), the entire graph continues to head towards a weaker dollar and a continuation of the commodities bull market and a rise in gold prices. Disclaimer: This is a commentary by an amateur investor and is not meant to be taken as professional advice. After seeing the striking similarities between Stephen Leeb’s The Coming Economic Collapse: How you can thrive when oil costs $200 a barrel and Jim Rogers’ Hot Commodities: How anyone can invest in the world’s best market, I decided to read one more book on this topic to verify the similarities. The first two books, in simple terms, describes the American economy as teetering on a precarious cliff due to horrible economic policies that have stripped it of its purchasing power and flexibility from a mountain of debt. With the growth of China and the East, prices of raw materials such as oil and metals are skyrocketing. This will only hurt the American economy as our current standard of living requires huge amounts of oil and imports. However, we are required to use our future earnings to continue this consumptive economy. In all likelihood, this book will basically say the same things as the other two books. However, it will be interesting to see how it is presented and if a more convincing argument is used. Peter Schiff doesn’t have as much clout as a Jim Rogers, but nonetheless is well-known in the business world. He has the nickname “Dr. Doom” because of his extremely bearish views on the U.S. economy and the U.S. dollar. He is currently the president of Euro Pacific Capital Inc., a brokerage firm that specializes in international investments. Schiff became the economic advisor to Ron Paul in his presidential campaign because of Paul’s commitment to constitutional values to stimulate savings and production. As expected, the book’s general cause and effect of why we are in this economic state are the same as other recent books on economic gloom. That is not to say this book is unoriginal, as some people have mentioned in the Amazon reviews. Since this is the third book on the topic I’ve read recently, I might be inclined to label it unoriginal, but that’s being unfair. I could easily have read this book first. Additionally, I am not reading these books for originality. As mentioned, having three experts (and I’m sure lots more because of the books out there) write books on the same dour predictions due to the same causes, should make one take action. I am also interested in reading about the suggestions of each of them; whether they are the same or different. That being said, this book definitely has its own unique style of conveying its arguments. The first three chapters are very fun to read. This historical perspective on how our country went from producers to consumers, how the government massages economic data to its own benefit, and how the dollar has declined is written with simplicity, logic and a wry humor. Schiff is the master of analogies and simple stories to demonstrate how stupid some of the economic actions are in this country. If you are not an expert at economics these chapters will clear up some confusion you have about debt, economic indicators, and the state we are in. The stories using Farmer Chin and Farmer Smith to explain how China is buying our wealth makes it easy to understand. In the second chapter, sections are divided by “comforting distortions” and “disturbing realities” to differentiate what the government wants the public to perceive about the well-being of the economy and what the actual reality is. I’m not sure why, but Schiff goes away from his fun use of analogies and stories. It becomes a little more technical and dry in the chapters where he explains inflation, stock market chaos, real estate, and debt. It’s unfortunate, because the first three chapters rank as one of the best I’ve read. Experts will probably reverse my views with these two sections, but as a pseudo-beginning contrarian, the first three chapters cleared many things up for me. His last three chapters are reserved for what you should do to protect yourself against the upcoming crisis. Nothing too crazy here, although Schiff is more on the conservative side than a Rogers or Leeb. 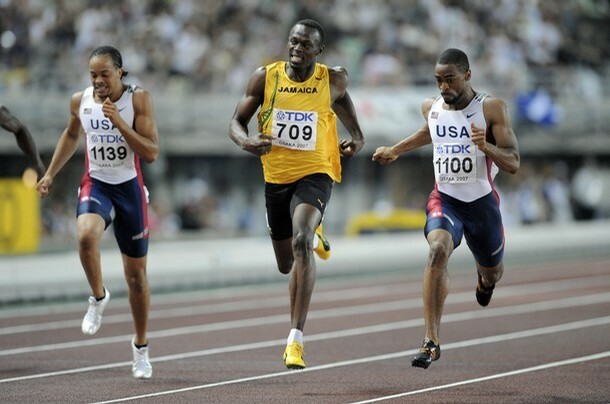 Investing in gold is still the common theme in all three of them. The other two are less commonly suggested but still make sense. His advice is general and not so in depth. This book is pretty much in line with other books I have read about the upcoming economic crisis. They help confirm the dire situation we are in. However, there are some negatives about this book that leave it open for criticism. Although this book has lots of charts and graphs, the source of them are all from the same website, prudentbear.com. By using only one source, and that source being well known as always being bearish (their phrase is “The One Stop Shop for the Bear Case”), it leaves an atmosphere of bias. He should have used more sources, especially those coming from the government and neutral sources. Additionally, every few pages in the book, he reminds the reader that he will later give advice on how to protect yourself from the crisis. We know that! Almost everyone reading this book reads it for the advice given. You don’t have to keep reminding us. Finally, during his last three chapters, there is a constant stream of subtle to not-so-subtle pressure to sign up with his investment group, Euro Pacific Capital, Inc. Talking about it once is enough. If we believe in what the book is preaching, we will naturally consider the author’s company when we do invest. This book is not for experts or those that are already truly in the know about the economic situation of this country. Just from the title, it’s apparent he is trying to capture readers unaware of the situation. If you are still trying to understand the problems, this book is easy and fun to read. The first three chapters definitely stand out; not just in this book but in other books I’ve read. In terms of advice, the Roger’s book Hot Commodities ranks first (although all of them are in commodities). In terms of specific advice, Leeb’s book The Coming Economic Collapse gives more only because he is allowed to legally. Since Schiff is an investment advisor for a specific company he cannot give specific stock advice. Without the first three chapters, I would rate this book lower, but with it, it’s a good book to read overall. This is my second book review on the precarious economic situation in global economics, specifically in America. 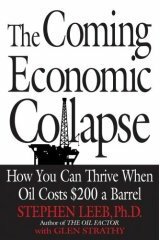 The first one was The Coming Economic Collapse: How You Can Thrive When Oil Costs $200 a Barrel, by Stephen Leeb. Now, under the assumption that America is on the cusp of a long recession or some sort of economic crisis, I decided to read a book about a neglected investment area that already is in the midst of a long bull market, commodities. Commodities are the raw materials, natural resources and hard assets that prop up everything in our quality of life, from food such as corn, sugar, and pork, to infrastructure such as copper and rubber, to energy such as oil and natural gas. Without commodities, and a speculative market for it, we would be seeing drastic regional and daily price differences of everything, ranging from televisions to groceries to jewelry. One funny thing I noticed with these books about economic crises is the required two stage title, the what and then the how. The Coming Economic Collapse: How you can thrive when oil costs $200 a barrel. Hot Commodities: How anyone can invest profitably in the world’s best market. 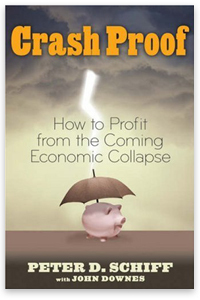 Crash Proof: How to profit from the economic collapse. Mobs, Messiahs, and Markets: Surviving the public spectacle in finance and politics. All the titles could’ve done without the second title. It makes it a little juvenile and commercial, but I won’t judge a book by it’s cover. I had heard of Jim Rogers before, but not much about his past. He came to fame in the 1970s where George Soros and him created the Quantum Fund that far outperformed the S&P in the high-inflation oil-crisis 1970s. The Quantum Fund returned over 4200% in that first ten years while S&P returned only 47%. After retiring in 1980, he went on to travel the world many times over… literally. He set the Guinness Book of World Record in 1992 by motorcycling over 100,000 miles across six continents (he details in his earlier book Investment Biker). He has traveled across China multiple times. Then in 2002 he set another world record by driving through 116 countries and 245,000 kilometers with his wife in a custom-made Mercedes. His current claim to fame is creating the 1998 Rogers International Commodity Index and predicting the current commodities bull market in 1999. This was during the height of the dot com when commodities were at multi-year lows and in a major bear market. He has also been a guest professor of finance at Columbia University, a moderator of finance shows on CBS and FNN. Like Soros, Rogers has also moved his entire family to Singapore because of the belief that Asia is the next financial epicenter and America is due for a major economic crisis. “Commodities get no respect.” The first line in the book. I’d have to say I agree with him. I’ve been investing for less than 10 years and no one talks about commodities the way they talk about stocks and mutual funds. I guess most people only talk about automobiles like Corvette and Accord (stocks) or General Motors and Honda (mutual Funds). Unless you are a true car enthusiast, you leave the details about engines, suspension and chassis to the experts. However, we know that the materials that make up a car or a company’s products are what makes them run and exist. In short, Rogers pretty much expresses in simple terms that the supply and demand fundamentals of most commodities are way out of whack (his words). Supply is on the short side and demand is increasing. The flow of this book is very good. He first builds his credentials. Then he talks about the history cycles of commodities, specifically the fundamentals of supply and demand. 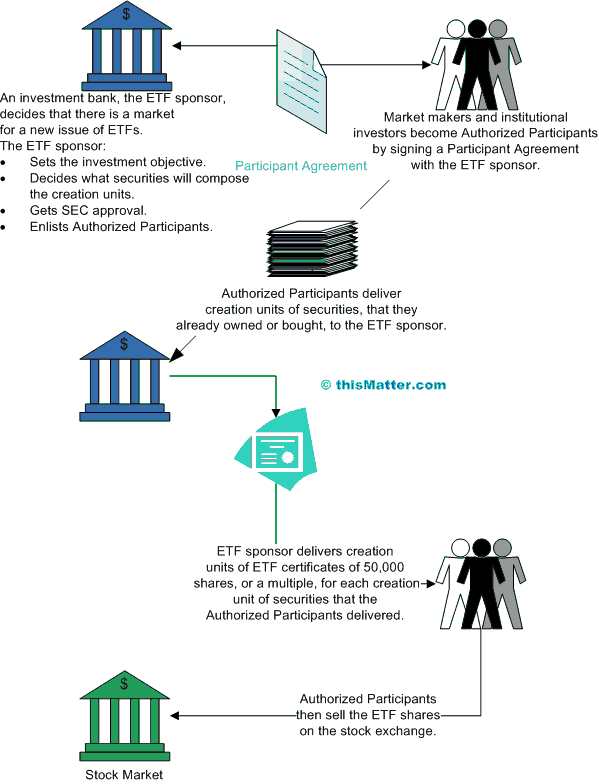 A step back with a primer on commodities and the exchanges that exist is next. Finally, it’s chapter by chapter of specific commodities that stand to gain in this bull market. As with all these books, there is always an overt or covert “I told you so” in the writing. It is understandable because the authors are usually taking a contrarian viewpoint and in order to build credibility they have to show that their previous contrarian positions have panned out. Rogers is no exception when he describes the track record of his futures picks. Having the Quantum Fund with Soros as part of your credentials sure doesn’t hurt. What is interesting is that Rogers is at an age where he really doesn’t have to prove anything to anyone. His writing style clearly shows this. It is very relaxed and simplistic. He talks about his past and trips around the world in a casual sense as if everyone can do it. He also refers to his mistakes and weaknesses as humourous because they turned out for the better. His attention to detail and research is remarkable. 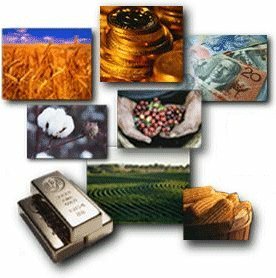 The primer on commodities is very useful for those that are beginners in the area. Although some might find it too simplistic, “commodities are equivalent to futures“, I found it a necessary part of the book. Since this book was written in 2004, it was unfortunate that current commodities-related exchange-traded funds (right) are not mentioned. I would have been interested to hear his opinions on the Energy Select Sector SPDR (XLE), the Goldman Sach’s iShares GSCI Commodity-Indexed Trust (GSG) and Market Vectors Gold Miners ETF (GDX), amongst others. He does mention that the GSCI (GS Commodity Index) is weighted incorrectly, and thus the creation of his own commodity index. In short, the commodities he talks about in detail are mostly nothing new. Everyone knows that China is tilting the balance of supply and demand in many key economic areas, such as oil and steel. However, Rogers has been preaching this since 1999 when oil was $10 a barrel and Asia had just overcome the 1997 financial crisis. The last thing anybody was thinking about was a commodity bull market. One viewpoint that was interesting was his lackluster enthusiasm of gold as a commodity. Although he maintains a small stake in it, he views it as something that doesn’t always follow the fundamentals of supply and demand, and that it’s historical cycles are harder to predict. He’s still bullish on it, but not as bullish as more obvious ones, such as oil and certain other metals. His other interesting viewpoint is on India. His first-hand experience in the country leads him to a different viewpoint than the public majority. Each chapter about a commodity is interesting to read. He describes the importance of it in everyday life and markets and the historical cycles of it. 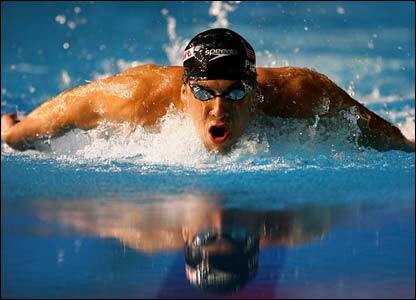 The set up is to show why he thinks it is time again for that particular commodity to be a high-flyer. Although this book was published in 2004, it is well-known that Rogers has been predicting the current commodity bull market since 1999. Let’s look at the performance of some of his suggested commodities since 1999 and 2004. Although there are signs of a bubble since 2007, high oil prices are clearly here to stay. 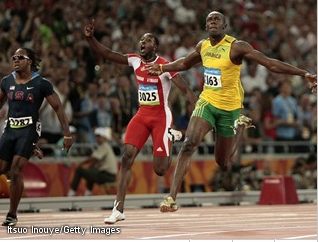 Rogers is not as enthusiastic about gold. Although it has strong returns, it’s not as strong as the other commodities. Low supplies with increasing demand makes this commodity a high-flyer. To be fair to him, I will leave the rest of his suggestions to readers. However, in looking at the monthly returns of most commodities, it is quite apparent that Jim Rogers is on the spot. 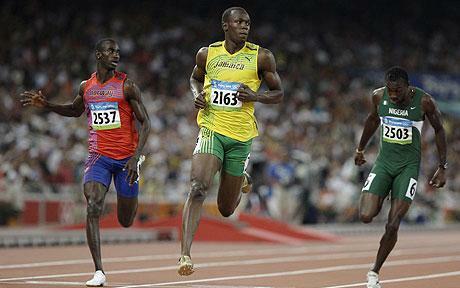 Check out other phenomenal returns here. The writing style of this book is so laid back it borders on conversational. However, it works for Jim Rogers because he appears to truly enjoy life like a kid. His wild-child trips around the world are not just rich-man-spending-money trips, but a big part of his research. His first-hand experience in living different cultures surely helps his perspectives. He is known for impeccable research, with simple logical explanations. If you believe the commodities bull market is far from over, as Rogers does, I suggest picking up this book. POLL: Have you invested in commodities (not stocks) since 1999? When I first saw this book at Barnes and Noble for $5.98 (Bargain Priced) I was very skeptical of its title. Even the three-toned cover art seemed amateur. A quick glance at the Table of Contents and words such as disaster, collapse, collision, blind, madness, dangerous, crisis, havoc, and armageddon are interspersed in the titles! Although I had become an avid follower of the bull markets in gold and commodities, and understood the problems facing America, my first thought was, “This book must be an extreme contrarian’s attempt at scaring the public and consequently helping him profit on the sales.” However, as I was reading this book, with the understanding that the information in there was 2+ years old, I could not help but realize how so many of his predictions have or show strong signs of coming true. As someone who is in his early 30s, I still remember the days of $.80/gallon of gas and the dot com indulgence in the late 1990s when I was in college. Things seemed so perfect. It was my first taste of real life, and boy, was it good. Since then I have seen America slide into a quick descent towards decadence. I won’t say who is to blame, as I think many groups are, but nonetheless, I have seen myself becoming more of a contrarian, more disenamored with our future. I wanted to see how this came to be… I started reading James Turk and his gold escapades, Warren Buffet and his beliefs, and the whole Federal Reserve role in society. I realized I had to start looking out for myself, because I didn’t know how much the government would. That’s when I accidentally came upon this book in Barnes and Noble. I had never heard of Stephen Leeb before I picked up this book, but he did publish an earlier book in 2004, The Oil Factor, that predicted the rise of oil prices due to increasing demand and vague supply. In 2004, crude oil was ~$30/bbl, which in an of itself was not that out of the ordinary. He was obviously not alone in that prediction, but was nonetheless in the minority. Leeb has a PhD in Psychology and that definitely plays a role in his analyses. Leeb claims in his book that once global peak oil (when daily global production of oil begins to decrease) occurs, the price of oil will skyrocket and economies around the world, especially the highly oil-dependent United States, will have a very difficult time coping with it. In his worst case scenario, he sees large-scale violence and civil wars that could lead to the collapse of society and the return to self-subsisting 19th century lifestyles. In his best case scenario, governments and industries tackle this massive problem of dwindling energy and dependence on oil by gracefully transitioning society to alternative energies, such as wind, coal, and others. He doesn’t really expound the most likely scenario, but he alludes many times to how it might already be too late, or how dire the situation is. It is apparent that he believes we are closer to the worst case scenario, and it is best for individuals to take actions before it rapidly deteriorates. The biggest positives about this book is that a lot of what he preaches are coming true. I can’t say how much I would have believed his book if I had read it when it was first published in 2006, although it would have still been an interesting read. As a background, in 2006, crude oil was about $60/bbl, unleaded gas was about $2.00 to $3.00 per gallon. 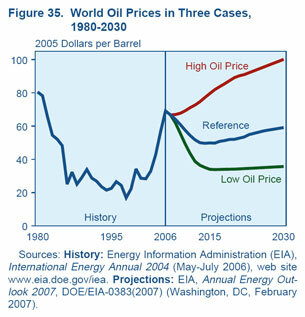 In his 2004 book, he predicted oil would rise from the then $30/bbl to $100/bbl in the next few years. In this book, he predicts $100 oil is now conservative and $200 is likely by the end of the decade! Today, May 25, 2008, light crude oil on NYMEX is over $131/bbl and my local town’s gas just hit $4.00 for unleaded. In the first part of the book, he uses his psychology and economics background to show that past civilizations have failed due to exactly the same problem we currently face, decreasing resources coupled with lack of leadership by the government and lack of open-minded thinking by the masses. He uses the word groupthink many times throughout the book. Although this part of the book is hard to disagree with, it is not all that groundbreaking. It is shown many times that the actions of the mass are quite different than the actions of an individual, albeit the difficulty in being a non-conformist. It is also not new to realize that the government and corporation do not act in the best interests of its people and its survival. One can argue that a benevolent leader does not exist. The second part of the book, lays the oil problem entirely on the table. The high price of oil is here to stay. World supply will reach peak production soon, and demand continues to increase. A lot of good analogies are used to describe the illogical actions of many in society. He compares the U.S. government’s propensity to give Big Oil lots of subsidies as akin to a person stranded in the Arctic in wintertime with only two weeks’ worth of firewood, deciding to burn it all the first night. Then he talks about the repercussions and likely scenarios for a post-oil world. By comparing the current situation with the 1970s oil crisis and the Great Depression, he hopes that we have learned from the past. In the final part of the book, he offers suggestions on how individuals can capitalize on this increasingly dire situation. This is the part that really seals it in. Although his predictions on oil prices have rung true, the investment ideas he offers greatly supports his hypothesis. For example, he suggests the buying of gold. At the time of his writing, gold was $460/oz. Today, as of May 25, 2008, it is over $925/oz. and breached a high of $1020/oz a few months ago. Then he suggest buying oil service companies, such as Schlumberger (SLB). In 2006, SLB was ~$60/shr. Today it is over $100/shr. There are numerous other investment suggestions he offers, and a quick finance check shows many have rung true. I leave it up to you to read. The only major suggestion that fell hollow was his belief that real estate would remain a viable investment. As we know, the bubble has burst, and real estate has been one of the worst investments the past few years. However, what is interesting is he didn’t think the bubble would burst because he believed the government would chose higher inflation over the more dangerous real estate crisis. POLL: How severe do you think the upcoming economic collapse will be? 1) Hah! There won’t be one! 2) Ehh, stop freaking out. It’ll be small. 3) It’ll be a regular recession. Like the early 1990s. 4) This is a long recession, but we’ll be back. 5) Lower quality of life is here to stay.